A good wave step-up developed over the last ten years with tons of feedback from many sessions all around the World in places like Indo and Hawaii. Lots of rocker through out the board with just a slightly wider nose than step-ups of the past. It has a generally narrow outline with a pulled-in pin tail. Order the G Step UP two to four inches longer than your normal shortboard. 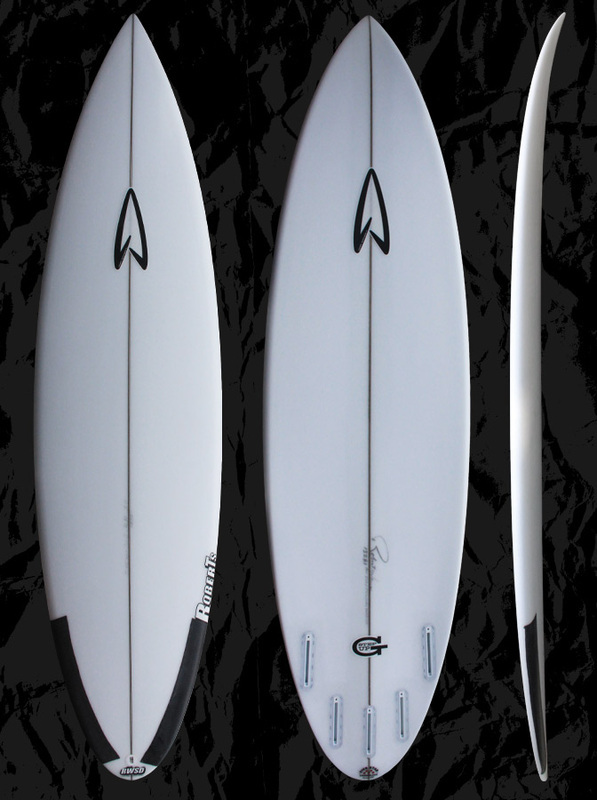 ​Great for good pumping waves, whether it be big beach break tubes or a solid reef or point break. Built for going fast and holding in solid surf like a gun while maintaining the sharp reaction and maneuverability of a short board. Lots of rocker through out the board. Single to deep double in the tail. Comes stock as thruster. Five fin option available Riding as a quad works well. Head high to double over head. Fast steep hollow beack breaks, point breaks or point breaks. CONTACT US to talk about the perfect dimensions for you.